I’m an everyday train commuter. I usually get the Cheltenham 8:25 train to Bristol and sometimes I get a bit early. 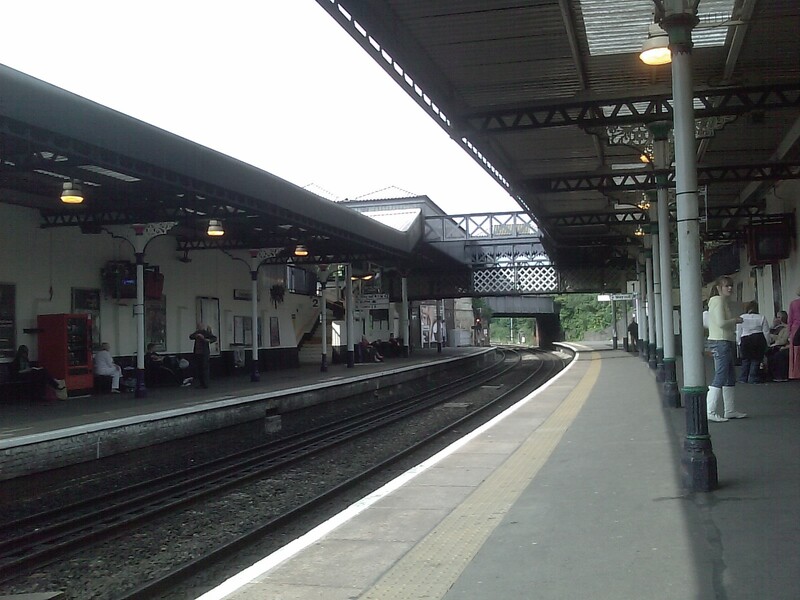 There’s really not much to do but to stand at the platform quietly waiting while listening to podcasts. It’s not a busy train but you get other sleepless commuters that sometimes decide to get a coffee. And when they do, they find themselves confronted with the almighty door of confusion. That door has gotten a lot of beating, not because it’s got any problem but because somehow they don’t get the way it works. I’m not saying that people are dumb (although most of us are) but that we have a classic example of a “Norman door” here. So, what is that? well,it’s just a door. But there are a few things to learn about how people use things by looking at the Cheltenham train station Café door. In 1988, Don Norman (a renowned cognitive scientist specialised in design and usability) published a fantastic book called “The design of everyday things” in which among other things he explains thoroughly what are known as “affordances”. “Affordances provide strong clues to the operations of things. Plates are for pushing. Knobs are for turning. Slots are for inserting things into. Balls are for throwing or bouncing. When affordances are taken advantage of, the user knows what to do just by looking: no picture, label, or instruction needed.” (Norman, 1988). So there you go, applied to a door it would mean that just by looking at it, you would instantly know wheter you have to pull or push in order to open it. On the other hand, a door that does exactly the opposite, ignores affordances and confuses people is ironically known as "a Norman door". The handle, which is the first affordance that would explain it's use, is a bit ambiguous and could be used either way, but it allows pulling. It's also noticeable that if you open it towards the inside, you could hit that chair or worse, the gentleman's feet. But every morning for months I've witnessed every single customer trying to push it vigurously, not even looking at the handle and using shoulder strength, basically asuming it would open inwards. Every single time. So I'm sure that not even changing the handle would make a difference. Why is that? A mental model in interaction design is basically what the user believes about a system, mostly based on belief, not facts. In this case, customers have the mental model that the door opens inwards. But again, why would that be? I think that to answer that we need to consider the environment of the situation. 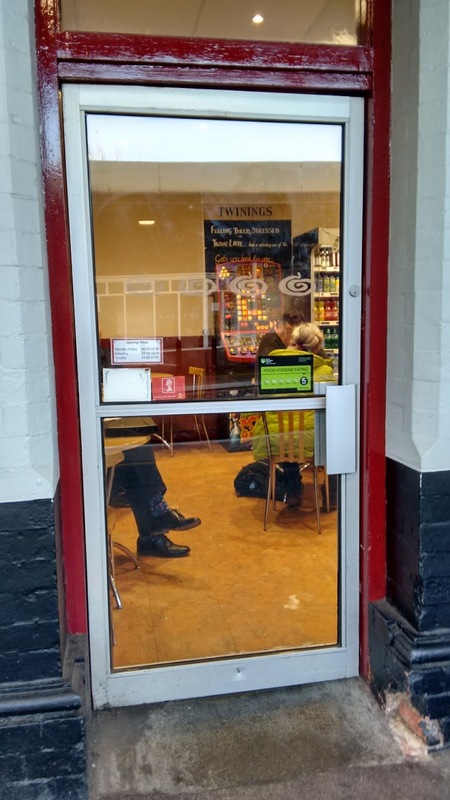 Cheltenham's station is outdoors so it can get cold in the winter, and my take is that somehow this café is seen as a safe haven, a warm place like a home where you can get a nice cup of coffee, and the majority or pretty much all of home main doors open inwards. Why? well, a lot of people ask themselves that. The reason this door opens the way it does is because it's the only access in and out of the café so for security reasons in case of an emergency such a fire inside, people should be able to push or kick the door for a quick way out since anything could be blocking it or to prevent people rushing and blocking the door. But hey, people don't have (and shouldn't need to have) this information in their head at 8 a.m. in the cold of the morning, when what they look for is the comfort of a coffee. Would a different handle change the situation? Perhaps, but somehow I like to think that people still consider it should open from the inside because they consider it as a safe space, just like home. Update: They recently added a "pull me" sign, but it's not that noticeable so unaware people still firmly push it several times trying to get in. If you want to get in touch, please send me an e-mail. Find me also on Twitter, Linkedin or Dribbble.